Advertisers make some pretty bold claims when trying to come up with creative ways of selling their products and not all the claims are accurate. Perhaps manufacturers should let those who use the products come up with a sales pitch instead. For those little ones who view showers as an implement of torture, this product is guaranteed to bring calm. 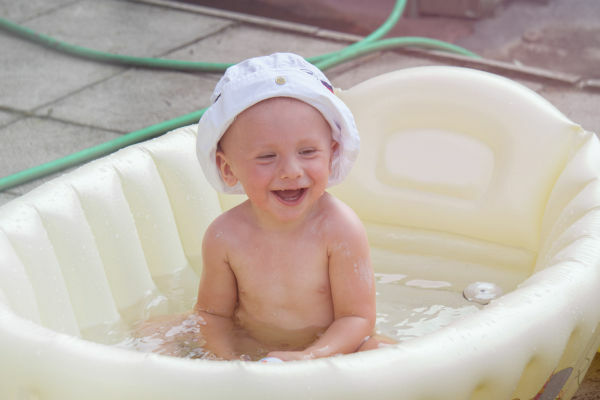 Perfectly sized to fit in the basin of a walk-in shower in a static caravan in North Wales, the bath provides a quick and easy way to wash your child without them screaming. Guaranteed to reduce the likelihood of your holiday park neighbours calling children’s social services on your behalf. Best of all, the bath will retain it’s resell value, since after just one holiday with your small child you will vow to have no more holidays until they are old enough to stay at home by themselves. Why spend hundreds of PENNIES on nappy sacs when you can spend hundreds of POUNDS on a nappy disposal system and its cartridges? That’s right, for those who have more money than sense, there should just be one item on the baby wish list this year. 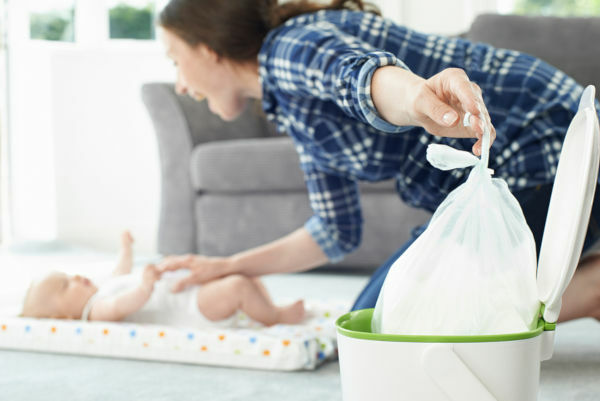 The Nappy Disposal System reduces the need of simply putting a nappy in a small bag and then in the bin. Now you can push it down the germ-infested opening and gaze in wonder as you turn the handle to magically wrap the nappy in a small piece of plastic. What is more, if your child’s offerings are particularly pungent you can rest assured that the smell will be contained for about 23 minutes. Miss the good old days of Sunday morning lie-ins? Well now you can reminisce those good times even more thanks to this funky clock. 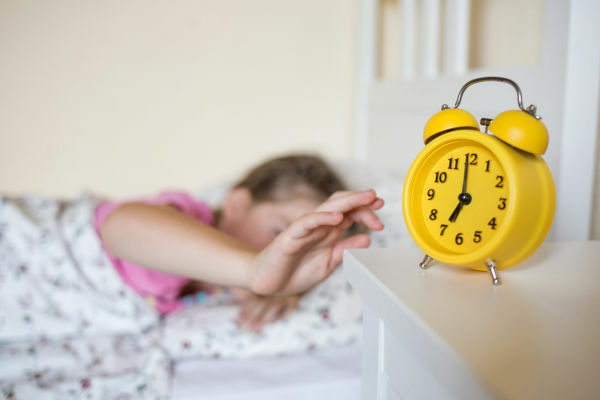 Your child will be able to barge into your bedroom at precisely 5.23am and announce that it is still night time and not time to get up yet. You will fondly remember those cosy mornings in bed as you fumble through the darkness to return your child to his bedroom, which is beautifully lit by the clock in migraine-inducing blue light. 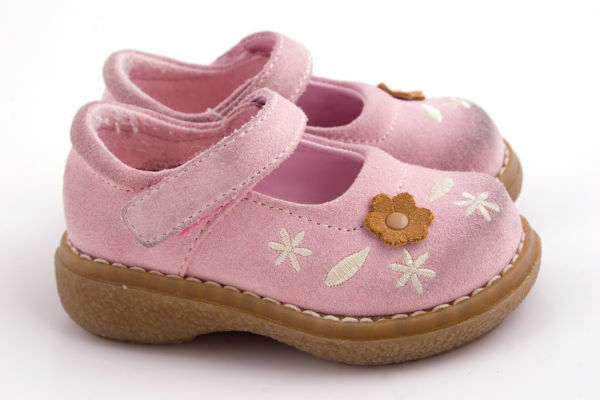 These adorable little shoes will complete any baby outfit and make your sweet little darling look angelic for a whole five minutes! Even better, your post-natal body will get the workout it needs as you spend hour after hour stretching and bending down to reach the shoe as it cheekily and repeatedly escapes from your child’s foot. That’s right, not only do these shoes look fabulously cute, they will help you to tone up as well. Feeling tired? Stressed? Overwhelmed with the pressures that come from raising small children? What you need are the dulcet tones from the new, improved ZOOM-ZOOM Cars. Each car has five different tunes and sounds that it will play at 3000 decibels so you can drown out the stressful sounds of real life. Collect all 12 cars and discover which car’s song is your favourite! Will the police car song become your ear worm for the next six months, or will it be the Taxi? Don’t forget to add in the ZOOM-ZOOM Garage for five more tunes that are equally catching. It’s robust enough to survive being accidentally-on-purpose thrown down the stairs five times so you and your child can make many happy memories together. The ideal gift for any parent who is suffering from anxiety over the health and well-being of their newborn. Now, instead of being happily oblivious to all the strange sounds and movements a baby makes in their sleep, the new parent can witness it all in glorious HD. 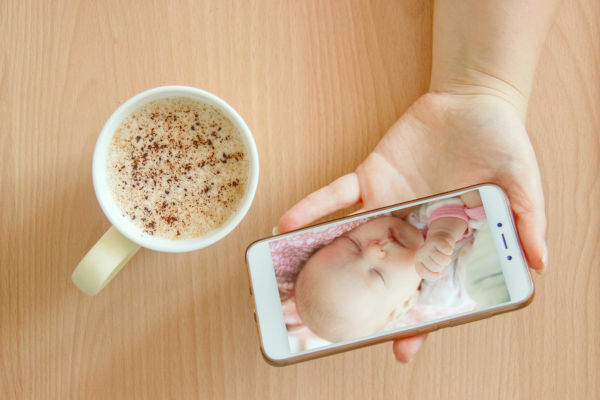 Capture those precious moments, such as the time the baby suddenly flailed all their limbs for no apparent reason, leading you to rush to A&E with a suspected seizure, only to be told it was merely the startle reflex in action. Easy to set up, you will only need a degree in electronic engineering to work out how to secure it on your home network. Nothing says “I’m pretty ambivalent about the fact that you have had a baby but I feel obligated to buy you a gift” than an Infant Care Kit. Show your friends / colleagues / distant family members that you vaguely care with this cute set that includes everything they need to keep their baby groomed and healthy. 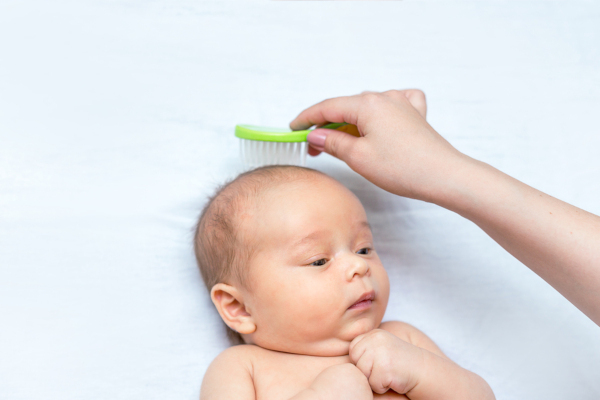 The soft bristled hairbrush will allow the new mother to lovingly style those precious three strands of hair on the baby’s head. The toothbrush will rest nicely in the bathroom cupboard for three years whilst the parent awaits the arrival of the first tooth and then buys a second toothbrush having forgotten about the first. It will later serve perfectly as a way of scrubbing the grouting on the bathroom walls. The thermometer is highly accurate, give or take 20 percentage points, giving peace of mind to the anxious first time parent. It’s the perfect gift when you really don’t know what else to buy. Teething. We understand that this period in your baby’s life can be a difficult and stressful time. That’s why we have developed a range of colourful toys that your baby will love to chew. 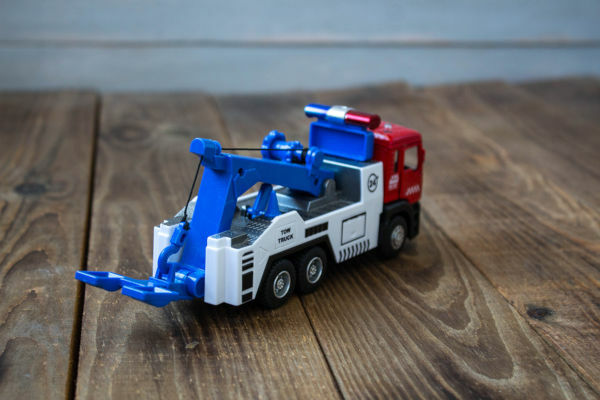 Obviously, we have put safety first, so you will find that with all our range the toys are large enough that it is impossible for your baby to get the toy in their mouth and chew on, ensuring there is no choking risk. Our range includes very soft toys made from cloth that will soak up your baby’s dribble beautifully, and for those really tough days there are the really hard toys that your baby’s older sibling will delight in using as a weapon to assert dominance over the younger child. Even your dog will love to chew them. Promote your child’s independent streak with this colourful ride on suitcase. 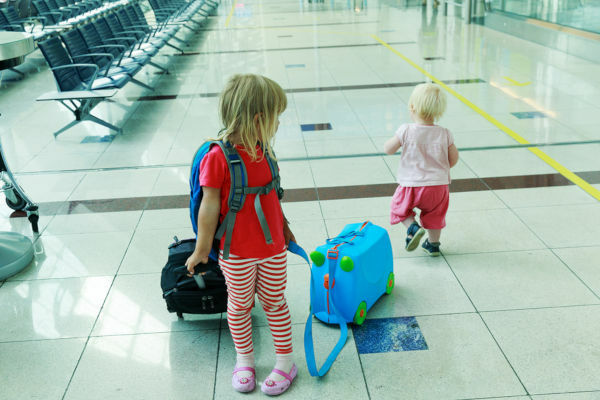 Brave enough to attempt a two-week long haul holiday with a three year old? He can pack all his favourite toys for the plane ride inside this sturdy little case. Once at the airport, the suitcase doubles up as a ride on toy. Your child can race ahead through the crowds, taking out several elderly passengers as he goes. Later, when you need to get security to locate your child, the handy nametag will help to identify him.